You can't tell me otherwise, politics is a personal business in Nigeria. Nothing but individuals fighting for their pockets and progress. A former Minister of State for Defence, Senator Musiliu Obanikoro, has described the National Leader of the All Progressives Congress, Asiwaju Bola Tinubu, as Nigeria’s greatest politicians alive. Obanikoro said this on Saturday in Lagos while formally announcing his defection from the Peoples Democratic Party to the APC. In his speech, ‘The Exigency of Time and the Dynamism of Politics’, made available to Sunday Punch, the former PDP chieftain said defecting to the APC was a homecoming for him. “To me and to all my associates, it is a return to our natural habitat. This (APC) is my home. My political voyage started from this association and I am proud to have learnt under our great leader, Asiwaju Bola Tinubu. The late Chief Obafemi Awolowo is the greatest politician of all time and I make bold to say the greatest politician of our time is Tinubu. 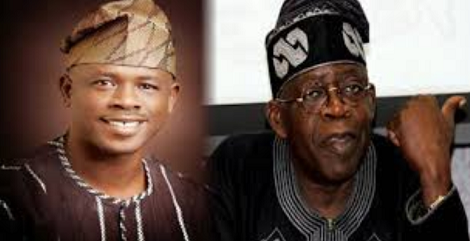 “At this stage of my life, it is important for me to return to my original base and be part of the giant strides being achieved in Lagos State which would not have been possible without the sagacity of the architect of our modern democracy – my indefatigable boss, Asiwaju Bola Tinubu,” Obanikoro said. Speaking on why he joined the APC, he said, “I am already fulfilled. I have traversed the length and breadth of this country and I believe that Lagos stands tall among other states in Nigeria. Today, we are the fifth largest economy in Africa and Governor (Akinwunmi) Ambode is working assiduously to make Lagos the third largest economy and transit from a megacity to a smart city.